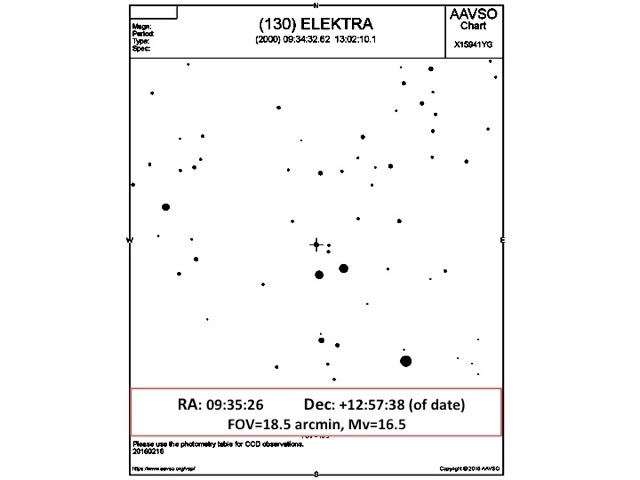 While we do not have any full network TNO campaigns scheduled this month, the map below shows a unique opportunity for all RECON teams in California, Nevada, and Arizona to celebrate Presidents Day by participating in an optional occultation campaign involving Main Belt Asteroid (130) Elektra! 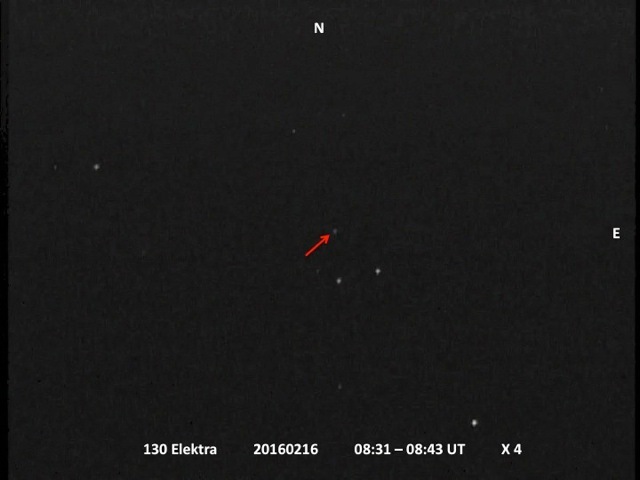 This event occurs February 16 around 08:37:00 UT, so after midnight on Monday evening/Tuesday morning (12:37AM Pacific Time and 01:37AM Arizona Time). The maximum event duration is 15.1 seconds and teams can read the predicted event time off the map above. 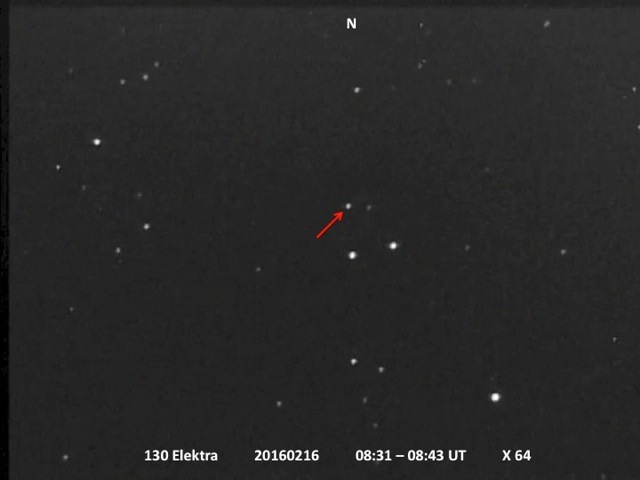 Because Elektra (mag 11.8) is brighter than the star it is occulting (mag 12.3), the occultation will be very faint as the combined brightness drops by only half a magnitude. Tony George has offered to help with data analysis to generate light curves for participating teams. Below are starcharts and star fields provided by Bill Gimple from Greenville. This entry was posted in Occultation Campaigns, Preparations by John. Bookmark the permalink.